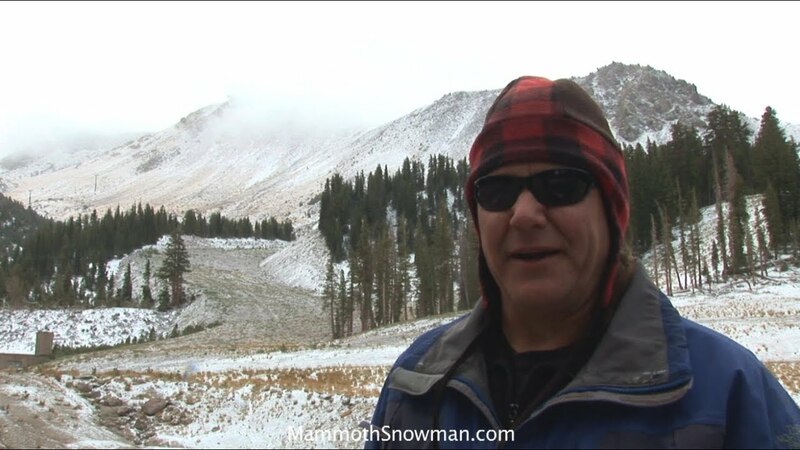 The Mammoth Mountain Snowman has the almost original Video Snow Report and Weather Reports from the slopes of Mammoth Mountain Ski Area in California. If your looking for video and photos along with snow conditions and weather this is the place to bookmark for the 2014-2015 winter snow season. 9-27-2014 – 10:00 AM – The window-cast from out on Mammoth Mountain is showing lot’s of clouds & a few snow flakes are falling at this time.